In short, Verizon's 3G/4G modems are having trouble with the "hand-off" between the 3G network and the 4G network. While this problem can obviously affect any Verizon 3G/4G modem user, it's especially frustrating for UML290 users who want to use their modem in a router. Both the Nexaira BC2 and Cradlepoint routers running the beta LTE-supporting firmware support the UML290 in LTE mode, but they do NOT currently support the UML290 when it is in 3G mode. the UML290 will only work in 4G mode with the Nexaira BC2 (above) and Cradlepoint routers running the beta firmware! Check 3Gstore.com/4g for complete details - we will continue to update that page and this thread as things develop! The MBR1000 (above) will now support the UML290 with beta firmware! Cradlepoint users (and potential users!) 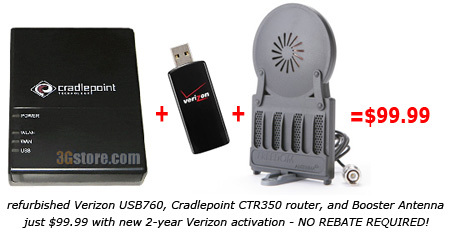 have been eagerly awaiting support for Verizon's new 4G LTE-capable modems since Verizon launched their 4G service earlier this month, and we are happy to announce that Cradlepoint has released beta firmware for the CTR500, MBR1000, MBR1200, MBR800, CBA250, and CBA750 that supports the Pantech UML290 modem! This is great news for UML290 users wishing to share their connection with multiple computers/devices as well as Mac users who need a way to get online, period (as the UML290 is not officially supported on Mac OS yet). Unfortunately, the LG VL600 modem is still not yet supported - this firmware release provides support only for the UML290. Additionally, the firmware is only compatible with the listed routers - if you own a different Cradlepoint model, this beta release will not work for you. Finally, keep in mind that this is a BETA release, which means that it has not gone through complete testing like an official release. Many potential Verizon 4G LTE users were disappointed by the fact that there were no routers compatible with either of Verizon's new 3G/4G USB modems when they launched last week. We are happy to announce that we have confirmed that the Nexaira Business Class II (BC2) 3G/4G router is now compatible wth the Pantech UML290 modem! In order to use the BC2 with the UML290, you simply need to have the latest firmware (which is pre-installed on all BC2s shipped by 3Gstore) and update one setting on the router's administration page (3Gstore provides these instructions with all BC2s). This router is best for: Business users that need reliability, security, and advanced enterprise features, including near-instant failover and IPSEC VPN tunneling. It is also the ONLY router to support iPhone tethering and the 3G/4G Verizon UML290! WiFi Range: 100-200ft through walls, much greater unobstructed (variable depending on interference from other electronics and physical interference such as thick walls). Along with the LG VL600, the Pantech UML290 is one of the first modems available for use on Verizon's brand new 4G LTE network, which just launched in 38 U.S. cities this week. While Verizon's 4G network isn't available in nearly as many locations as their 3G network yet (although they do have aggressive expansions plans), the new 3G/4G modems allow users to "future proof" themselves - they can use it for 3G now, and when 4G does become available to them, they won't have to worry about needing new equipment! As an added bonus, the service plans available for the 3G/4G devices are actually better than what's available for 3G-only USB modems, making a 3G/4G device like the UML290 a great choice for a variety of customers. The UML290 is similar to the other 4G-capable Verizon device, the VL600, in almost every way - they are both 3G and 4G capable, aren't compatible with Macs yet, and are similar sizes/designs. However, the UML290 has something the VL600 does not: a usable antenna port for improving 3G cellular signal! The UML290 actually features two antenna ports: one for a 3G antenna, and one for a 4G antenna (which aren't yet available, but will be in the future). This one crucial difference makes the UML290 the clear winner for anyone trying to decide between the two Verizon 4G devices in our opinion! Like many mobile broadband users, we have been eagerly awaiting the launch of Verizon's 4G LTE network since it was first announced several months ago. The service launched in 38 U.S. cities this weekend, with two dual-mode 3G/4G USB modems to choose from and two 3G/4G service plan options. As soon as Verizon's LTE network went live on December 5th we quickly got our hands on both the LG VL600 and Pantech UML290 modems and began our testing! How Fast is It? Verizon is advertising that their 4G service is capable of speeds of 5-12Mbps. 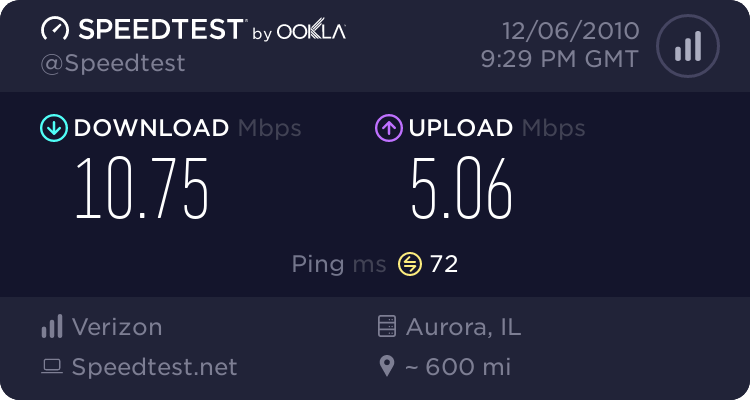 In our tests in the Chicago area, we consistently saw download speeds of around 10.7Mbps and upload speeds ranging from 5 to over 15 Mbps! 3Gstore is proud to announce that we have teamed up with Nexaira to offer an exclusive version of firmware that offers iPhone compatibility. iPhone tethering support with the Nexaira BC2 allows you to create a WiFi hotspot to connect multiple devices via WiFi using your iPhone's 3G internet connection. All you need is iOS 4+ on your iPhone, and a tethering plan from AT&T, this does not require any jailbreaking! 3Gstore is upgrading all of their Nexaira BC2 routers to this version of exclusive firmware before shipping! *the 3GB plan is a promo plan - it will only be available for 90 days. After the promo period is over, customers who signed up for the 3GB plan with a 2-year contract WILL get to keep that plan for the life of their contract, but no NEW customers will be able to select it. All other 3G devices (USB760, PC770, UMW190, etc) are NOT eligible for these plans - the standard $59.99/mo for 5GB plan still applies for those devices. Sprint has announced that the Samsung Galaxy tablet will be available on November 14th for $399.99 (taxes not included) with a new line or eligible upgrade and two-year service agreement. Sprint customers will have two rate plans to choose from for their Samsung Galaxy Tab: a 2GB data plan with unlimited messaging for $29.99 per month or a 5GB data plan with unlimited messaging for $59.99 per month (plus taxes and surcharges). Learn more: Read Sprint's Samsung Galaxy Announcement or check out the Galaxy Fact Sheet. 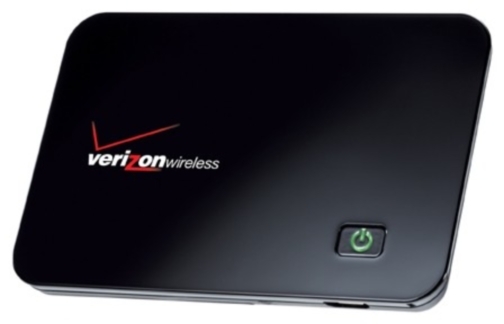 Extended Battery for MiFi Powers Your Verizon MiFi + iPad Combo 3X Longer! With Verizon now planning to sell the iPad along with the MiFi hotspot, lots of new users are becoming familiar with the MiFi. The MiFi is a perfect solution for providing WiFi to your iPad (and all your other devices!) on the go, but one thing users will quickly notice is that the iPad battery far exceeds the battery life of the MiFi 2200. The iPad battery lasts about 10-11 hours on average, while the MiFi 2200 battery only lasts 3-4 hours. For users who are constantly on the go, this creates a problem since they won't be able to stay connected throughout the entire day. 3Gstore.com has a solution for users who need more than 3-4 hours of battery life from their MiFi 2200. Our MiFi 2200 Extended Life Battery provides up to 12 hours of consecutive usage time, which makes it a must have for any mobile professional or frequent traveler! The 3600mAh extended life battery for the MiFi 2200 provides THREE TIMES the battery life than the standard battery that comes with the MiFi 2200. Our extended life battery provides a 3600 mAh capacity, whereas the stock battery only provides 1150 mAh capacity. This is the longest-lasting replacement battery available for the MiFi 2200! 3Gstore.com has been selling the MiFi Extended battery for a couple months now, and it has become incredibly popular with our customers. One happy customer wrote in with the following rave about the battery: "The extended battery for the MiFi 2200 is fantastic. My whole purpose in getting the MiFi was to use it with an IPad so I could save the money and get the wifi only version. Well the included battery would have run out way before the Ipad would so this extended battery is the perfect solution. Now I have approximately 10 hours on the extended battery and another 4 hours on the original one that came with the MiFi. I can leave the MiFi in my pocket turned on and ready to connect all day...."
The 3600 mAh extended life battery works with the Sprint & Verizon versions of the MiFi 2200, as well as pre-paid MiFi 2200's. Note: This battery is NOT compatible with the GSM versions of the MiFi for AT&T and T-Mobile. The Extended Life Battery is also compatible with the Virgin Mobile MiFi 2200! 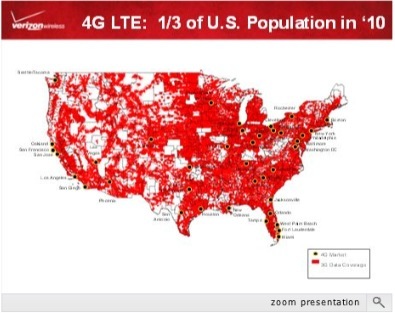 At today's CTIA Press Conference, Verizon officially announced that they'll be launching their 4G LTE service (dubbed "VZ4G") in 38 markets by the end of 2010. They wouldn't comment directly on pricing, but to our surprise they stated that "there is a place for unlimited plans" as well as pay-per-use models (which is what recent rumors were indicating Verizon planned to use for their 4G service). We won't know until Verizon releases more information, but it sounds like there may be an unlimited option available at launch after all, which puts them on level ground with Sprint and CLEAR, who offer their 4G WiMAX service on an unlimited basis. SAN DIEGO--(BUSINESS WIRE)--Nexaira Wireless Inc. (“Nexaira”) (OTCBB: NXWI), a progressive and innovative developer of 3G and 4G firmware and hardware routing solutions, is pleased to announced that its Business Class II Router has been named a finalist in the Gadget Guru category in the CTIA 2010 Hot for the Holidays awards competition, which honors the most innovative and cutting-edge mobile electronics products and applications for the holiday season. CTIA Hot for the Holidays award winners will be announced at CTIA ENTERPRISE & APPLICATIONS™ 2010, which takes place in San Francisco at Moscone Center West October 6-8; partner conferences begin on October 5, 2010. The Nexaira Business Class II Router is designed to enable operators, enterprises, and home office users to expeditiously connect to, maintain and manage high-speed wireless data connections rivaling traditional landline connectivity with unmatched functionality, speed, and ease of use. Features like auto fail-over with anti-flap, enable the BCII to switch to a wireless backup connection within seconds of the primary wire line connection going down. 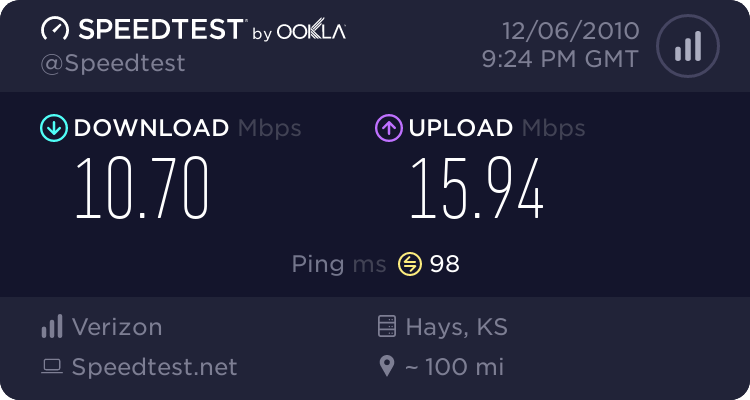 Nexaira’s Xtreme Speed Optimization provides the best possible speeds a broadband connection is capable of which is in part what distinguishes the Business Class II Router from other less application specific broadband routers. “The BCII router offers a powerful alternative for integrating wireless broadband solutions into enterprise networks, once the domain exclusively of wire line, by leveraging the wireless carrier networks while meeting the business demands for security, redundancy and speed,” said Rusty Wright, Vice President of Product Development for Nexaira. CTIA 2010 Hot for the Holidays winners will be recognized at an awards ceremony at CTIA ENTERPRISE & APPLICATIONS on Thursday, October 7 at 2:00 p.m. PT. A panel of mobile CE media and analysts judged entries and selected finalists based on innovation, functionality, creativity and “hotness.” One winner will be selected from each category. All award submissions will be prominently displayed in a special showcase at Moscone Center West during the CTIA show in October. Nexaira’s cellular solutions are simple to install, yet provide the advanced management and business class features demanded by the most sophisticated users. Nexaira’s wireless devices are ideal for high availability applications acting as the primary router for wireless, DSL, landline or cable networks or can be used to provide complete device and network redundancy in wide area network-failover/fail back applications. For further information on how Nexaira is uniquely positioned to bridge the gap between wireline and wireless services and provide businesses the assurance that operations continue during wireline network service interruptions, visit our website at www.nexaira.com. 3Gstore is pleased to announce that we have partnered with DataJack to offer 3G mobile broadband service for just $49.99/month, with NO contract, credit check, or cancellation fees! DataJack is perfect for travelers, backup usage, folks who don't want to sign a contract or give their personal information...and for anyone wanting to save money on their 3G bill! How it works: You purchase the MC760 USB modem and your first month of service for $149.99. 3Gstore will activate the service for you (you can choose whether you want us to activate it before we ship or if you prefer to wait until you receive your order) - after your first month is up, you can then choose to pay for another month, set up recurring billing, or simply let the service stop until the next time you need it. No credit check or personal information is required, and you can cancel any time with NO penalty (you don't even have to return the MC760 when you cancel!). That's it - really, there's no catch! Like all products purchased from 3Gstore, you'll have access to our esteemed technical support and you'll also receive a helpful tipsheet along with your modem to help you get up and running. Plus, 3Gstore is also your source for other equipment that helps you get the most out of your DataJack service - antennas for improving signal strength, routers that allow you to share your connection with multiple computers (and other devices like the iPad, iPod Touch, etc), and much, much more. Everything ships directly to you from our Illinois warehouse, making 3Gstore a true one-stop shop for all your mobile broadband needs. If you're ready to get started, you can place your order for the DataJack MC760 online at 3Gstore.com/datajack, or call us at 866-3GSTORE. If you have more questions about DataJack, visit the FAQ. According to ZDNet, Apple is reportedly making CDMA-capable iPhones that could end up on the Sprint network. Research notes from Jeffrey Fidacaro of the Susquehanna Financial Group said, "In line with expectations for an early CY11 launch of a CDMA iPhone, our checks indicate that 1QFY11 (December) CDMA iPhone production estimates are currently at 3 mln (unchanged from last month), putting total iPhone production (3 GS, iPhone 4, CDMA iPhone) at 21 mln-22 mln (up 5% from 20 mln-21 mln units previously). The slight increase is indicative of continued demand for iPhone 4 and increased distribution". Both Verizon and Sprint use CDMA technology (AT&T uses GSM), so the fact that Apple is working with CDMA at all certainly adds to the speculation that the iPhone is going to turn up from one of those two providers at some point. There has been speculation about the iPhone heading to Verizon since it's inception, however, we haven't seen much mention of Sprint until now. This theory is more feasible as Sprint tends to be more open with their network and isn't as proprietary as Verizon with their phone offerings. Also, since Sprint already has 4G WiMAX implemented in 53 markets, it wouldn't be to far-fetched to even see a hybrid 3G/4G capable device. This would remove the main complaint that iPhone speculators state about CDMA - the fact that CDMA can't do voice and data at the same time. However, WiMAX fully supports both simultaneous voice/data which would keep Apple's iPhone feature set intact. What do you think? Would you rather see a Sprint iPhone or a Verizon iPhone (or are you happy with the current state of affairs, with AT&T being the only carrier available for iPhone users?) Discuss the CDMA iPhone on the EVDO Forums. Apple's iPhone going to Sprint? 3Gstore is now selling a replacement battery for the Sprint Samsung Epic 4G that provides slighly more battery life than the standard battery that comes with the Epic 4G. This battery is still the same exact size as the stock Epic 4G battery, but also provides an additional 100 mAh for a total of 1600 mAh capacity, where the stock battery only provides 1500 mAh capacity. 3Gstore.com is currently offering a free car charger & an extra battery for free when you order the Epic 4G! You can Order the Sprint U600 from the mobile broadband experts at 3Gstore.com for FREE after $50 mail-in rebate with a new 2 year service agreement NOW (ships 9/12/10)! All U600's ordered with Sprint service from 3Gstore are shipped pre-activated (so that they are ready to use when you receive your order!) and include our esteemed free technical support. 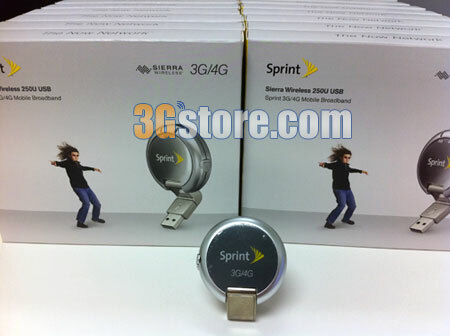 Sprint has just announced their newest 3G/4G hybrid device, the Sprint 3G/4G USB U600. Compared to its predecessors the U300 & U301, the U600 is significantly smaller, but still offers the USB swivel that we loved about the U301. There are several reasons why we think the U600 is currently the best choice for users looking to purchase a 3G/4G dual-mode device. Read our full review to find out why! Sprint Samsung Epic 4G Now Shipping from 3Gstore! The Samsung Epic 4G, the second 4G-capable phone from Sprint, is now available and shipping from 3Gstore! Order the Epic now at 3Gstore - with overnight shipping (just $12), you'll be enjoying the first 4G phone with a full QWERTY keyboard in just one day! 3Gstore is also sending a FREE car charger and free replacement battery to everyone who orders an Epic with service so that you can power and charge your Epic on the go! What are the differences between the Epic and the EVO? Save Huge on Aircard, Router, and Antenna Bundles with New Sprint or Verizon Service! This promotion has ended. Stay tuned for future promotions! This bundle includes the 3G/4G dual-mode 250U USB modem, battery-powered Cradlepoint PHS300 travel router, and the super portable classic Booster Antenna (for the 3G signal - there aren't any antennas for the 4G signal yet, sorry!) for just $139.99 - plus you'll receive a $50 mail-in rebate from Sprint and a $25 mail-in rebate from Cradlepoint, making your final price just $64.99! New two-year Sprint agreement required, ends 8/31/10. Click here to order the 250U/PHS300/Booster Antenna bundle for $64.99 after rebates! This bundle includes a refurbished USB760 USB modem (factory certified, includes all original packaging and accessories), compact Cradlepoint CTR350 travel router, and the super portable classic Booster Antenna for just $99.99 - and there's NO rebate required! $99.99 gets you the entire package, and saves you the hassle of filling out rebate forms and waiting for a check. New two-year Verizon agreement required, ends 8/31/10. Click here to order the USB760/CTR350/Booster Antenna bundle for $99.99! Like all products sold by 3Gstore, these packages include our esteemed technical support, and same-day shipping is available for orders placed by 1pm CST. These offers expire at 11:59pm CST on 8/31/2010, so don't miss out! 1) 3600mAh extended life battery for the MiFi 2200, which provides THREE TIMES more battery life than the standard battery that comes with the MiFi 2200! Our extended life battery provides a 3600 mAh capacity, whereas the stock battery only provides 1150 mAh capacity. This is the longest-lasting replacement battery available for the MiFi 2200! 2) 3200mAh extended life battery for the HTC EVO 4G, which provides TWICE the battery life than the standard battery that comes with the EVO 4G! Our extended life battery provides a 3200 mAh capacity, whereas the stock battery only provides 1500 mAh capacity. This is the longest-lasting replacement battery available for the HTC EVO! 3Gstore Now Offering International Shipping to 200+ Countries Worldwide! 3Gstore.com is thrilled to announce that we are now able to ship orders to over 200 countries worldwide! Mobile broadband is not restricted just to North America, and we are happy to now be able to provide users all over the world with products like 3G/4G routers, 3G antennas, unique equipment like the Pepwave Surf Mini WiFi bridge and the IP Switch, and more. Thanks to FedEx's international shipping options, 3Gstore products are now accessible to millions of mobile broadband fans. "We look forward to sharing our unrivaled product knowledge and support with mobile broadband users all around the world," said 3Gstore owner Michael Ginsberg. "We understand that mobile broadband users have unique needs whether they're 50 or 5,000 miles from our headquarters, and this is something we've been looking forward to offering for quite some time." Customers from 200+ countries around the world can place orders now at 3Gstore.com. International customers should be sure to read 3Gstore's shipping information page before ordering and always check compatibility before ordering. Failover with minimal downtime: NexAira's "failover with anti-flap" feature allows the router to switch between a primary connection and a backup connection in under 10 seconds! Xtreme Speed Optimization: The BC2's optimization feature allows you to get the most out of your internet connection. Status monitoring: The BC2 provides IT administrators with remote web administration, remote SSH access, and an SNMP server, as well as the option to automatically email multiple administrators for emergency events such as a connection failing. Minimal Reboots: The BC2 rarely requires a full reboot when changing various settings on the router (on other routers, you have to reboot your equipment every time you make a change to one of the settings). This feature alone can save large corporations time & money as your entire workforce won't be without local network and internet connectivity for several minutes because you had to change a few settings on your network! QOS: Allows you to prioritize certain devices, applications, or ports on the network, so that your most important services receive priority bandwidth over any other users on the network. All routers purchased from 3Gstore include our exclusive support CD as well as our esteemed technical support. Sprint Samsung Epic 4G Launching 8/31, Pre-Register For Yours Now! The wait is almost over! Sprint today announced pricing and availability for America's first 4G-capable phone with a full QWERTY keyboard and brilliant Super AMOLED touchscreen, Samsung Epic(TM) 4G, bringing customers an all-in-one device for staying connected, getting work done and enjoying the latest in entertainment while on-the-go. Samsung Epic 4G is the only 4G Galaxy S(TM) smartphone and the only one to offer a full slide-out QWERTY keyboard. Samsung Epic 4G will be available beginning Tuesday, Aug. 31. It will cost $249.99 with a new line or eligible upgrade, two-year service agreement, after a $100 mail-in rebate (taxes excluded). You can pre-register for your Epic at 3Gstore via this form: Samsung Epic 4G Pre-Registration. By filling out this form, you will get the opportunity to reserve your Epic from 3Gstore before it launches, and you'll also receive a FREE car charger and free replacement battery! Eager for more info on the Epic? You can read Sprint's official Epic 4G announcement, check out the Epic 4G Fact Sheet, and don't forget to pre-register for your Epic 4G! 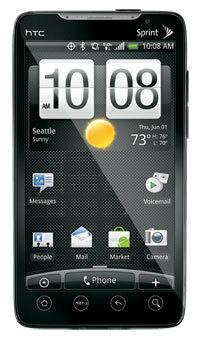 Sprint has become the first carrier to offer Android 2.2 by providing the update to HTC EVO 4G users. While Android 2.2 is available on Google's Nexus One phone, the update was provided by Google and not any of the carriers that offer the discontinued Nexus One. This makes the EVO 4G the only current Android 2.2 device that is being sold by any carrier. So what exactly will this upgrade offer EVO users? Verizon will be getting a new global USB modem in the near future as ZTE has recently submitted their new AD3701 USB modem to the FCC for approval. The AD3701 will offer quad-band GSM/HSUPA and CDMA/EVDO support. The quad-band GSM/HSUPA support allows it to be used on most cellular networks around the world but will require Verizon's GlobalAccess plan for international use. All customers who purchase the EVO from 3Gstore will get our 10-page HTC Evo Tipsheet FREE! There are many reasons why people buy from 3Gstore - helpful pre-sales support, a great variety of products, competitive pricing, a solid reputation - but the technical support that 3Gstore provides their customers is what really makes 3Gstore stand out. While many of our competitors claim they offer tech support, when you call them, they will forward you to the manufacturer (which, depending on the manufacturer, can be a nightmare! ); others do offer their own support but from inexperienced or poorly-trained reps who have never even used the products they're supporting. 3Gstore provides top-of-the-line tech support from our own 3G experts who use the equipment we sell on a daily basis (and live here in the US!). Our techs are able to troubleshoot issues and resolve the problem from experience, not by reading from a script! In addition to the support we offer over the phone or email, the mobile broadband experts at 3Gstore also include exclusive resources with many of the products we sell (such as the 3Gstore Support CD we include with Cradlepoint routers, the Pepwave Surf Mini, and IP Switch). Our latest addition to our lineup of exclusive tipsheets for 3Gstore customers is our Sprint HTC EVO Tipsheet. This valuable resource makes setting up your HTC EVO smartphone as easy as possible, and includes lots of valuable guides for getting the most out of your phone. These guides are particularly helpful for new smartphone users who are unfamiliar with the Android platform, but are also helpful for seasoned smartphone users! All customers who order the EVO from 3Gstore will be emailed this tipsheet when their order ships. If you already purchased your EVO from 3Gstore and would like to receive this tipsheet, email support "at" 3gstore.com with "EVO Tipsheet" in the subject line and include your order number in the body of the email. 3Gstore provides tipsheets like this to our customers for free. We have received countless emails from people that purchased elsewhere requesting to purchase our tipsheets to help them solve an issue that had caused them a lot of frustration and wasted time. With the horror stories we've heard of people purchasing from a company that didn't provide any help when they had a problem, it's a no-brainer that 3Gstore is the place to go for all of your mobile broadband needs! 3Gstore has also created the 3Gstore HTC EVO 4G Resource Center where you can find all of the content that we have published about the EVO 4G. Whenever we post any new EVO 4G content, it will still continue to show up on EVDOinfo as usual, but we will also update the EVO 4G Resource Center to include all of our EVO 4G related content. Verizon Wireless recently started selling a "wireless router" on their website for $9.97 + free overnight shipping. The product page claims that it is compatible with almost every 3G-enabled phone and Verizon aircard, including ExpressCards, which seemed strange since the router only has an ethernet port and USB port. We were very skeptical of what Verizon was claiming that this product could do for such a low cost, especially since they claim it supports virtually every 3G device on their network. To see if these claims were true we ordered one for our technicians to find out just how well these units performed. There are people out there that prefer using a full QWERTY keyboard over a touch screen keyboard. For users that wanted a 4G capable phone this was a problem because the HTC EVO is the only current 3G/4G capable device, and it's touchscreen only. Samsung has filled this void and announced the Samsung Epic, the world's first 4G device with a full physical QWERTY keyboard! Samsung designed the Epic with power in mind and comes with all the multimedia, messaging and social networking tools you'd expect from a high end smartphone. Aside from the 4G capabilities and full QWERTY keyboard, the major other selling point is the 4" super AMOLED touch screen. When it comes to interfacing with this beautiful display you'll find it's powered by Android 2.1 and features touch screen gestures. These are just some of the features the Samsung Epic will have - you can view the Samsung Epic 4G Fact Sheet or read Sprint's announcement of the Samsung Epic 4G. The Samsung Epic will be launching on Sprint's network in the coming months (no official launch date has been announced yet). When the Sierra Overdrive 3G/4G hotspot first became available from Sprint, many users (including our testers) experienced a number of frustrating problems: problems switching between 3G and 4G, trouble accessing the MicroSD card, random disconnects, and more. Other users has no problems at all, but the folks whose Overdrives weren't performing properly were understandably quite frustrated. Almost immediately after the Overdrive's release, Sierra Wireless (the manufacturer) acknowledged the problems and began working on a firmware update that would solve them. Earlier this month, they finally released firmware version 2.06.06, which was intended to address many of the key problems Overdrive users were experiencing. Our 3Gstore tech staff were among the unlucky users who were experiencing problems with the original Overdrive firmware, so we were very eager to install version 2.06.06 and perform testing to see if the problems were indeed solved. FaceTime is one of the new and highly-anticipated features included on Apple’s iPhone 4 that allows iPhone 4 users to video chat with other iPhone 4 users over WiFi. There are definitely a lot of great potential uses for FaceTime, and Apple makes it very easy to use. The only downfall to FaceTime is that it only works over WiFi - you CANNOT use Facetime while your phone is connected to AT&T's 3G network. This isn't an issue if you want to make video calls at home or at the office where you have a WiFi network set up, but what about folks who want to use it while traveling? Here at EVDOinfo/3Gstore, we understand that people want to be mobile with their mobile devices, and we have a number of solutions that allow you to use FaceTime while you're on the go! The Sierra Aircard 250U is the latest dual-mode 3G/4G USB modem to hit the market and the first from Sierra Wireless. CLEAR released their version of the 250U - which they call the "Series S 4G+" modem - in three test markets in June and will make it available to all customers in July, and Sprint announced that their version of the modem will launch nationwide in July as well. Qik has released a special version of their app just for the HTC EVO 4G that allows EVO users to make 2-way video calls using the front facing camera! Video calling on the EVO 4G can be used via 3G, 4G, or WiFi networks - unlike the iPhone 4's video chat app, Facetime, which will only work when you're connected to WiFi. CradlePoint has released Firmware Version 2.5.3 that provides the CTR350 and PHS300 with official support more modems (including the AT&T Velocity and the new Sprint/CLEAR Sierra 250U), the ability for more modems to be activated within the router, and some bug fixes. IMPORTANT NOTE ABOUT THIS FIRMWARE: This latest release of firmware is for both the PHS300 and CTR350, but since the CTR350 is a 3G-only router (and always will be), updates relating to 4G devices or 4G functionality apply ONLY to the PHS300. For those ordering the CTR350 or PHS300 from 3Gstore.com, starting 06/23/10, we will automatically include a CD that has the firmware version 2.5.3 on it. Cradlepoint has officially released firmware version 1.7.0 for the MBR1200, MBR1000, MBR900, CTR500, CBA250, and CBA750 routers. This new firmware version provides official support more modems (including the AT&T Velocity and two T-Mobile devices), the ability for more modems to be activated within the router, and some new features. The Sprint Overdrive received less than stellar reviews from some users when it originally launched - while some users had no problems at all, others experienced stability problems, trouble activating, problems using it with iTouch devices, and more. Some of the problems were fixed by a firmware update that was released in February (version 1.0.7), but many remained. This week, Sprint and Sierra have at last released the major firmware update that we've been waiting for - version 2.06.06. This firmware release is exciting news because it takes care of all of the major issues that users were experiencing with the Overdrive. With this update, users can finally rely on the Overdrive as a dependable solution for their 3G/4G data needs. Improves device stability, eliminating all known freeze-ups and lock-ups. WiFi enhancements to improve WiFi stability and eliminate disconnects and crashes. Significant improvements in 3G and 4G WAN stability. Some improvement (~10%) in overall batter life and battery life in poor coverage. Faster boot-up time (~10-20 seconds faster). Improved response time when changing the WAN mode setting with no reboot required. Eliminates need for a device reset when changing modes such as "4G preferred" to "4G only", "4G preferred" to "3G only", etc. Faster response time after canceling an operation in the Advanced Settings screen (no device reset required and offline time decreased by ~90 seconds). Added additional 4G channels for future growth. For Enterprise customers, customization and Data Link support have been added. Please contact your sales rep for additional information on these Enterprise customer features. The Overdrive is in stock at 3Gstore, and to make things easy for our customers we will automatically update the firmware to version 2.06.06 for all customers ordering the Overdrive with Sprint service! Click here to order the Overdrive from 3Gstore.